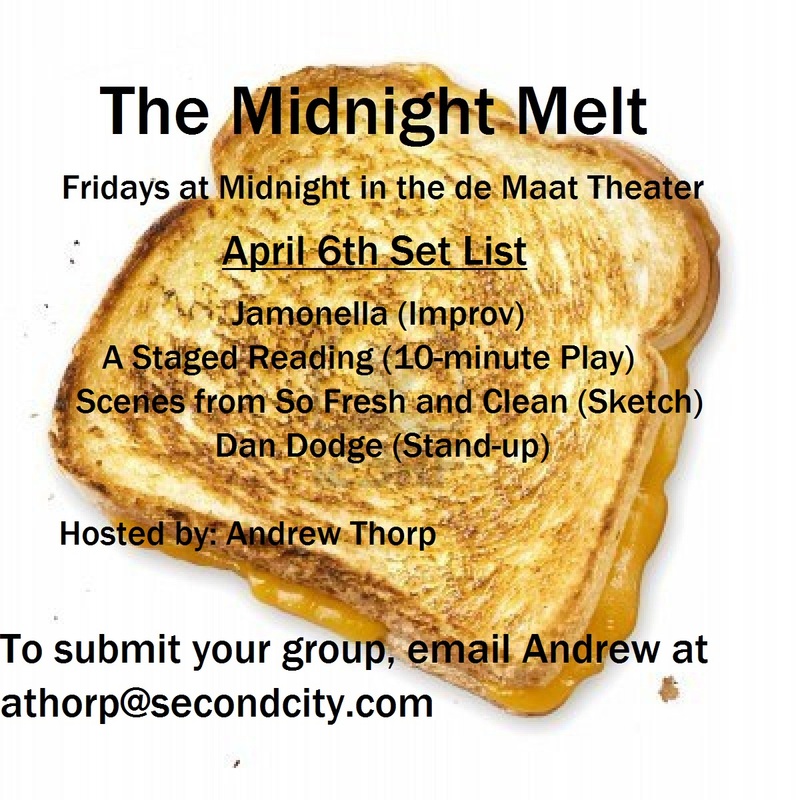 The Melt – April 6th at Midnight in the de Maat Theater! 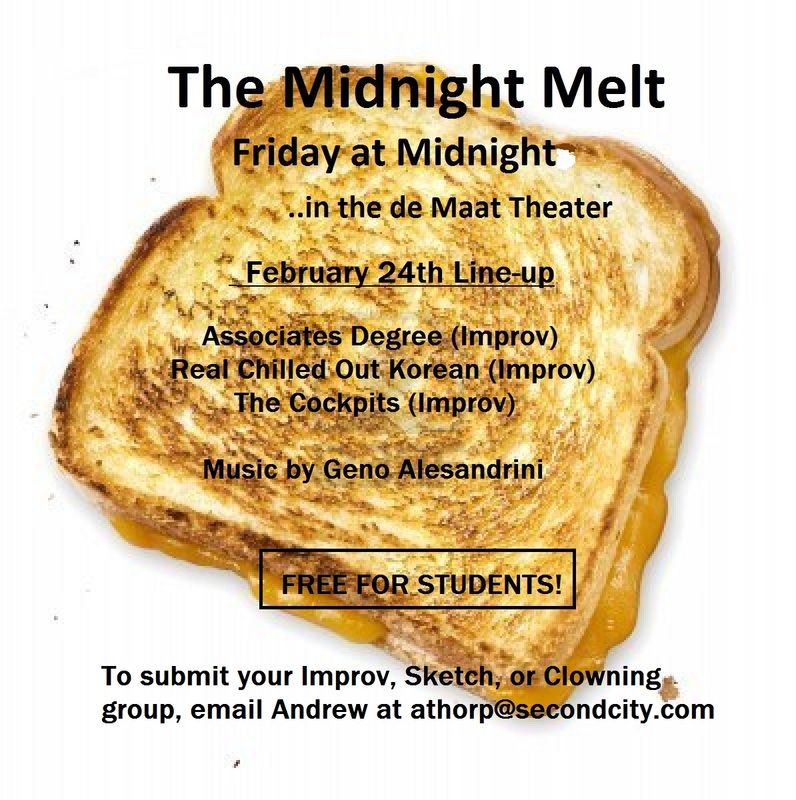 The Midnight Melt Variety Show – Tonight in the de Maat Theater! Second City Students and Alums are sharing the de Maat stage tonight to bring you Improv, Sketch, and Stand-up. The show is at Midnight and is free to all. I am excited to be a co-director of this awesome show on Saturdays at Midnight in Donny’s Skybox Theater! The run is Feb 11th – March 17th. 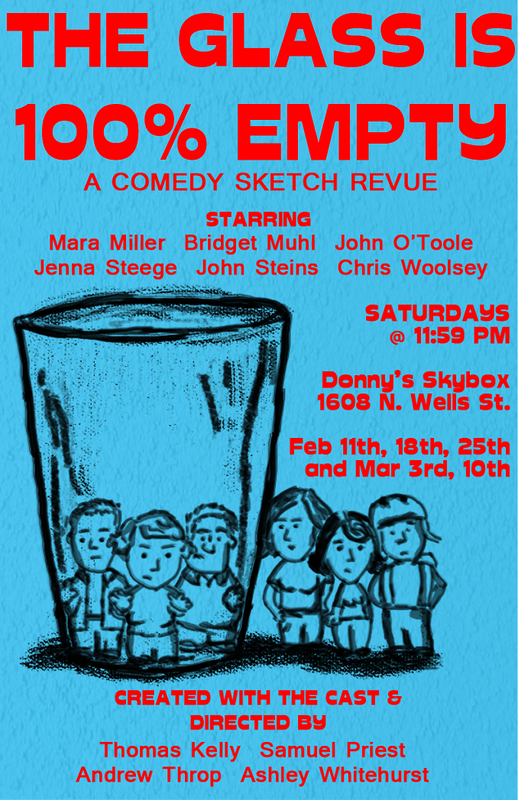 for tickets, call 312.337.3992 or visist secondcity.com. feel free to hit me up with questions! de Maat Open Mic – Saturday at Midnight! Night-of slots still open. Slots are 4 minutes long and we are going until 1:45 am.